Last chance for Rapidweaver 5 for Mac in the ZotShop! This design bundle contains absolutely all the resources you could need for creating beautiful designs with almost no effort or use them as they are in your works! There are tons of floral vectors, Ps Brushes, Vector Illustrations, Photoshop Addons, Web elements and more – a total of 2,200 premium elements valued at more than $2,500! All these items come with an extended royalty-license! The graphics are too numerous to show so we chose a sampling. Click on the links to see the packs included. RapidWeaver is the leading Mac web design app, and has been ever since its launch over ten years ago. Each release is designed to make your website better, and we’ve carefully ensured that RapidWeaver has all the tools you need to create the perfect website. Best of all, RapidWeaver allows your site to grow as you build it and is expandable with over a thousand third-party addons. There’s a website design for everyone, with 46 built-in and highly customizable themes to choose from. From blogs to stunning photo galleries, RapidWeaver has page types included for almost everything. Extend your site, with more than 1,000 addons available: online stores, fluid layouts, new designs and much more! RapidWeaver is the web design app of choice for hundreds of thousands of people, from novice to pro. There’s no need to know any code – RapidWeaver generates it all for you, based on the content you add to your website. If you need to add some code (maybe a Twitter button), just paste it in and RapidWeaver automatically places it alongside your existing content. RapidWeaver comes with over 45 professionally-designed, and customisable themes that you can tweak to create the perfect layout. There’s over 100 additional themes available from third-party developers such as Nick Cates Design – ideal for everything from online stores to galleries and blogs. All themes display just perfectly on all modern browsers, ensuring your site looks great to every visitor – even if they’re not using a Mac. @rapidweaver Been my goto since the beginning. Hard to say anything, but nice. It's just works. Did I say anything about all the plugins? RapidWeaver is a different type of web design app – one that allows you to focus on the most important aspect of any website: your content. With drag-and-drop creation for photo galleries, online stores, blogs, personal websites and more you can count on RapidWeaver to help you build a stunning website in no time. Blackmoon FY is a modern broken script which is made out with only straight strokes. A beautiful singularity are the very thin in-and-outstrokes accompagnying each letter. 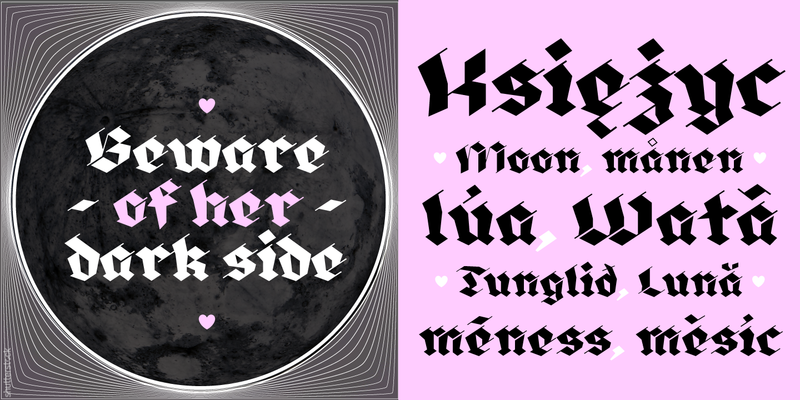 This very high contrasted font is less condensed than usual blackletter fonts and has additionally some stencil aspects which makes Blackmoon so singular. 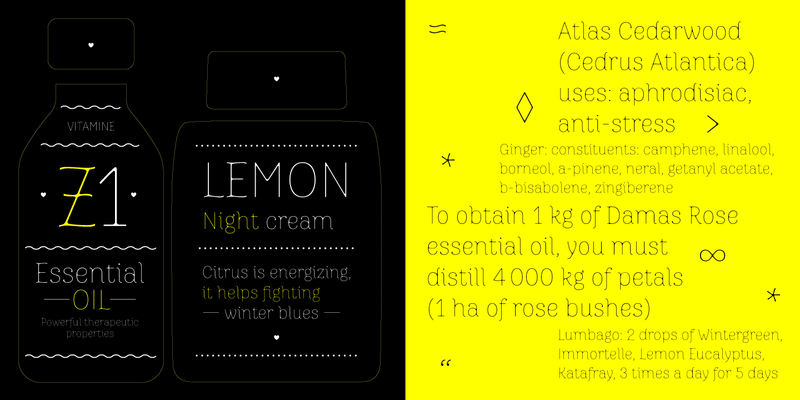 Zitrone FY is a decorative hairline font with subtle contrasts. The particularity of this font are the small ink drops on each superposition of two or more shapes. This gives a playful structure in small size and a very identifying detail in poster size. Each drop has its unique form and is associated with the meticulous and detailed terminals. Zitrone FY will show all its freshness and elegancy whenever you print it out. Zitrone FY was co-created by João Costa, Alisa Nowak & Jérémie Hornus on fontyou.com, the first collaborative type foundry. Kraaken FY is a new ultra black script perfect for posters, logotypes, headlines and every other punchy design. The loops of the ductus have been exagerated to give this font originality and robustness. To get its final heavily & regulary look, Kraaken FY has been grown up in many little steps and has been worked by all typedesigners at Fontyou. Kraaken FY was co-created by Bertrand Reguron, Alice Resseguier, Valentine Proust, Julien Priez, Gia Tran, Jérémie Hornus & Alisa Nowak on fontyou.com, the first collaborative type foundry. 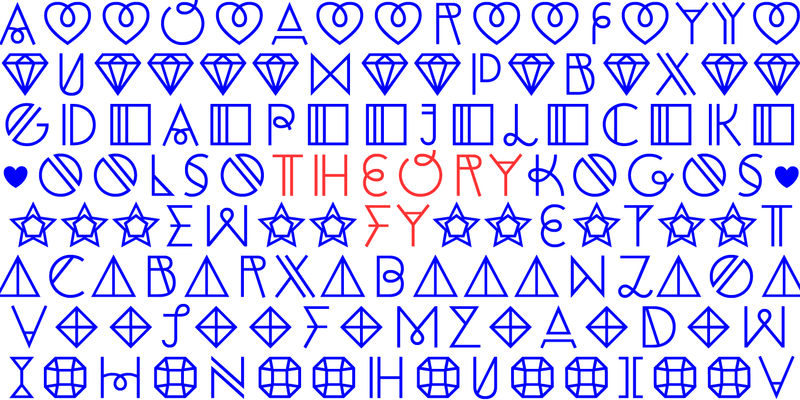 Theory FY, a trendy typeface with many alternates and some geometrical symbols. Pyrénées FY, a geometrical and urban font to make beautiful headlines and posters. 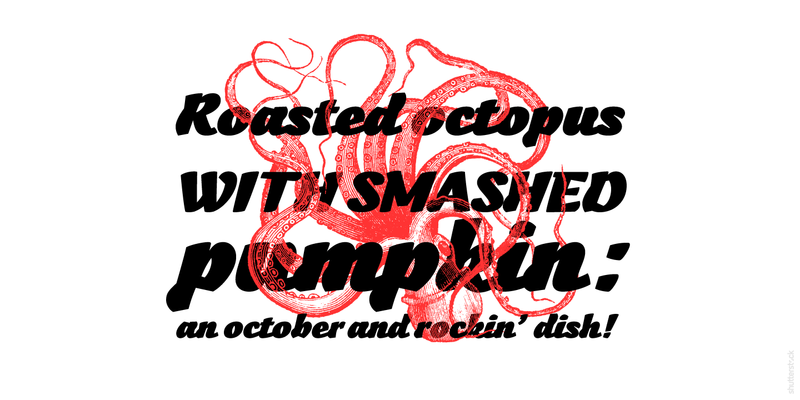 Rag FY, a wild and dynamic typeface, with crazy animals dingbats. Beware of the Rag! 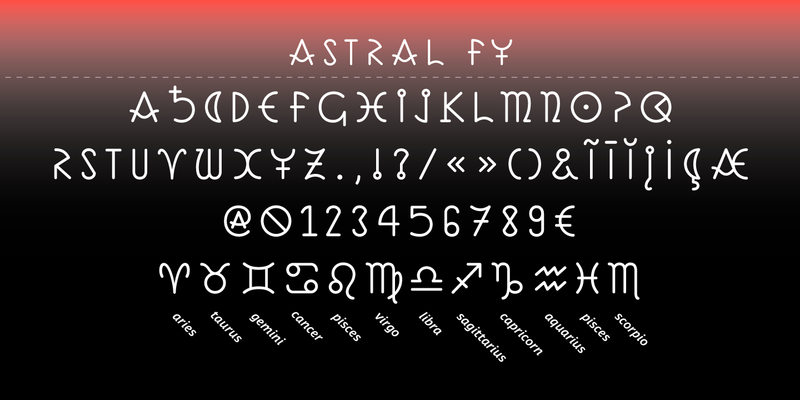 Astral FY, a font to predict the future… astrological signs included! Vidok FY, an bloody old-fashioned script font… Zombies gonna like! Vidok was co-created by Gia Tran and Bertrand Reguron on fontyou.com, the first collaborative type foundry. Maybe you deleted files by pressing “Command + Delete” or formatted your hard drive or memory card, or you lost your precious files by other other means, you can now recover them with great ease. Photo Recovery for Mac NOT only recovers photos, but also recovers videos, audios, and documents like Emails, ZIP, MS Word, etc. It provides 2 kinds of recovery modes: Lost Recovery mode and Raw Recovery mode. 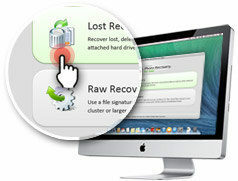 Lost Recovery: It allows you to recover files lost due to any situation within a very short time. All the recovered files will be saved with the original names, so that you can find the recovered data with great ease. Raw Recovery: If "Lost Recovery" fails, it can scan deeper and scan more of the damaged data though it requires a relatively longer time. It provides the feature of previewing and selecting the file you want to recover individually instead of recovering them all. Super enhanced iTunes-enabled alarm clock! Arise is an iTunes-enhanced scheduling solution. Perform a variety of tasks such as playing iTunes, sending e-mails and text messages, timing events, showing system alerts, and executing system tasks. Arise is ideal for both home and business users who are geared for increasing their productivity or organizing their schedules. Easily performing simple tasks such as waking up to iTunes or reminding the user to take medications at a specific time of day, to more complex operations such as taking web cam and screenshots of office computers and having them periodically e-mailed to an administrator! Alarms in Arise can be scheduled on an hourly, daily, weekly or monthly recurring schedule. For example, an alarm to ring every Monday, the 15th day of every month, 15 minutes past the hour, or at 9am every day. Countdown timers can be created that run at specific intervals. Also, an unlimited number of stopwatches can be created as well; useful for logging anything from time on a project for a client to speeches. Sitting quietly in the user's menubar until it is activated, Arise will wake or startup the Mac if an alarm will ring in the near future. For Pro users, Arise can utilize the power of the system command line or AppleScript to execute system tasks in the background. Folx is a powerful download manager with a true Mac-style interface. It boasts the ability to split downloads in threads, resume interrupted downloads, control the download speed, efficiently manage and organize downloads, etc. TasksBox is an awesome and beautiful task manager that helps you easily and efficiently manage your daily tasks, projects, notes and lists so that you can spend more time on what you love. Manage anything from daily tasks, shopping lists, recipes, projects or a birthday party. Manage everything from simple tasks to personal projects to check lists to random notes all from a single unified interface. Simple and intuitive to get you started in minutes with no need of help or guides. Simplified app flow makes the task management a breeze. Create your own TasksBox, Project, List or NoteBook with their own custom icons and start adding task ,activities,items and notes respectively in them to track. Get the overall picture of all the tasks / project activities of a month or week ahead using the calendar view. Quickly check the tasks for a date by using the Quick View. Quickly track all your pending items in simple and elegant layout arranged by category and also by completion dates. Quickly add notes, tag and location to your tasks or project activities to group them better and also to identify patterns. Set up reminders for tasks before a week or a few days to be reminded of pending tasks or upcoming activities. Effortlessly set up daily, bi-weekly, weekly, monthly or yearly recurring tasks like payments or check ups till a particular end date. Seamlessly add sub tasks or sub activities to tasks and project activities respectively to enable a more efficient and thorough tracking. Add other parameters like quick task, online, call, urgent, important and online to tasks and project activities to enable better identification and tracking. View all tasks boxes, projects, lists and notebooks in an awesome shelf view to get a quick overview of the categories and the pending items. Option to view tasks or project activities which are overdue or which are due today, tomorrow, this week, later or someday. Awesome filtering and sorting options provided to ensure that you focus on the most important tasks or project activities at hand. Sync your data across multiple Macs using the power of Cloud Sync. Take your data along with you anywhere and access it any time. A simple and beautiful graphical report for each TasksBox based on the number of tasks completed on time. Get a quick status update of all your projects as well as the percentage of completion in a intuitive graphical representation. Provides a simple and awesome distribution chart of the completed tasks or project activities based on their categories. Provides a intuitive graph of the number of tasks or project activities assigned for a day and the number of them completed. Presents the overall productivity of the user as a percentage based on completion and other parameters in a clear and concise graphical format. An advanced focus bar to quickly get you the list of tasks you are looking for based on your current context (ex: All tasks to be done online or all calls to be made). A fully features Eisenhower matrix to quickly view tasks/activities by importance and urgency and to also change them by dragging to another box. Option to quickly share via email or print all the tasks, activities, notes or lists or select a few of them to be shared or printed. Lock the app and your tasks, projects, list and notes by enabling the PIN based locking and configure a 4 digit PIN. Manually back up your data any time or configure an automatic back up of you data every 15 days to be stored in the same system. Add your picture and name to personalize the app to view your image in all the categories as well as your name. A simple and efficient search mechanism which can search through your task/activity description, location, tags and notes to get you what you are looking for. Awesome settings page including the options to load on start up, always on top, showing help, personalisation options and much more. any Video Format to DVD! Got video downloads, home movies, or photo slideshows on your Mac? iSkysoft DVD Creator for Mac lets you burn it all to DVD disc, DVD Folder, ISO or dvdmedia file so you can play everything directly on your Mac’s DVD Player. Apart from just organizing and burning video files to DVD, DVD Creator for Mac also offers useful editing functions, slideshow building techniques, and lots of gorgeous animated DVD menu styles and themes so you can create a stylish DVD. Easily burn virtually any video format (MKV, MP4, AVI, WMV, MTS, etc.) to DVD disc with a few clicks and play it anywhere, from the DVD player in your kids’ room to the one in your car. Create an engaging photo slideshow with your photos. Drag photos to the window and a photo slideshow will be generated automatically, then you can stylize it with your favorite music. Share your new slideshow with your friends and family!. Want to throw together a few video clips, say of a holiday vacation, and burn them to DVD disc? Maybe make a great DVD gift with footage and photo slideshows of family events? Make memorable movies out of the moments that matter, now! Convert video to DVD Folder, dvdmedia or ISO on Mac, so you can play any video on your Mac DVD Player like a real DVD or keep it to burn later. This app supports DVD-5, DVD-9, DVD+R/RW, DVD-R/RW format DVD discs. Mac OS X 10.5(Intel version) or above, including the latest Mac OS X 10.7 (Lion). MoneyBag is the easiest way to manage your day to day finances. With customizable categories, intelligent reports, awesome charts and an amazing design, MoneyBag equips you to budget, track, review, analyze, set goals, save for emergencies, get out of debt, save. MoneyBag provides the simplest possible transaction entry system. You can get started with the app in 2 seconds and can enter a transaction within 5 seconds. It is that simple. Time is money so let's start saving some. We understand that no two users or families are the same across the world and hence MoneyBag provides the ability to create your own MoneyBags (Categories), allocate budgets for them and the add transactions to them. Simple to Setup. Simpler to Monitor. MoneyBag provides the ability to set a budget for a category and track how much you are spending on it in a continuos basis. It also alerts you when you reach 70% and 90% of the set budget for a category. MoneyBag provides a clutter free intuitive interface to start tracking transactions ordered by categories which gives the users a clear understanding of the status. You can create any number of MoneyBags with Savings type and add your monthly savings to it. MoneyBag not only helps you to track expenses but also motivates you to save continously and monitor the progress. MoneyBag provides with an elegant opportunity to identify a goal and save an amount for it every month so that you can buy it by cash rather than credit. Add all your goals and dreams from the fancy car to the dream vacation and start putting aside some money for them. . It is recommended that we save 6 months of our monthly income as an emergency fund to tide over uncertain situations like job loss, health issues or economic down turns. MoneyBag reminds you reach that. Just create a MoneyBag for emergency fund and start adding to it. See all the transactions done in a particular location like 'Town Mall' or with a particular tag like 'Dresses'. Capture reference number or bill number using notes. Capture everything you know about a transaction seamlessly. MoneyBag generates stunning and highly informative reports of various types for the user like quick overview, budget analysis, expense analysis, savings report and monthly report which help the user to understand the distribution of expenses as well as crucial spending and savings patterns. Sync your transaction data across multiple Macs using the power of Cloud Sync. With just a single click enable cloud sync in the app and take your data along with you anywhere. We all have missed payment deadlines and hence moneybag provides a simple reminder system which alerts the user on upcoming transactions. Just set a reminder option in the task options menu and forget it and MoneyBag will alert you when needed. MoneyBag presents an easy and simple repeat transaction processing system. Set it up one time in the task options and forget it. MoneyBag will create all transactions with the given frequency for the configured time period. Get a summary of your entire financial status for the month in a second using the Quick Look Bar which gives you a beautiful graphical distribution of your finances. MoneyBag consolidates all information that you enter and manipulate the date to present it in a simple and elegant chart like format for you to understand the areas in which you need to improve on. Budgets in real life are not rigid and undergo changes every month. For example when kids are home in holidays the fun and entertainment budget will shoot up. MoneyBag enables you to make your budgeting flexible for every month. MoneyBag marks most of the areas in the app with clear red, yellow and green indicators which help to identify if everything is going on fine or not in your financial world. While green suggests that all is well, and yellow that you should be alert, red throws a warning that you are approaching the spending limit or crossed it. For savings / income / goals / emergency funds money bags having lesser percentage will show red indicator since lower savings or income is not healthy. MoneyBag provides a quick overview of the distribution of all transaction types along with the total amount allocated for each of them and the actual amounts that have been transaction till that date. Get the overall picture of all the transactions of a month using the calendar view. Quickly check the transactions for a date by using the Quick View. Add bill, receipt of other document images to the transaction using the web cam or select the picture from the system. Track all of your bills images in a elegant shelf like view which helps you to get an overview of your financial documents or bills any time. Lock the app and all of your financial transaction views by enabling the PIN based locking and configure a 4 digit PIN. Only authorised users will be able to access the app. More than anything MoneyBag helps you take steps towards your financial freedom. Financial freedom is the ultimate aim of every individual and that is a state of ultimate happiness but the road is not easy. It needs a lot of hard work, planning and tracking. While we leave the hard work to you we help in planning and tracking of your journey towards Financial Freedom. The main requirement for any user is to find spendings done in some specific scenarios or causes. For example a user would like to know how much he has spent on dresses for a month or a user might like to know how much he has spent while he was in town and while he was out of town. Let this be the start of your Journey to Financial Freedom.